Fast Women is an all-women racing syndicate with a female trainer, a female jockey, and — you guessed it — a filly! 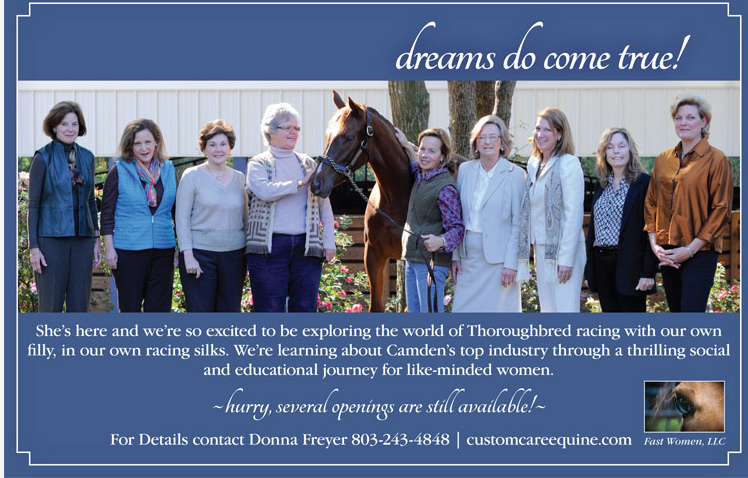 Here’s a fun story — a female trainer, Donna Freyer, put together an all women syndicate giving this group of women a (more) affordable way to experience the ownership of a racehorse. So, women owners, women trainer, women jockey . . . and of course a filly! Watch the video below to learn about these women and their pretty chestnut filly Minimambo. Breeders Cup Classic or Bumper Cars?